Update (May 23rd, 2018): AT&T drops US Primary use restrictions for Canada & Mexico Roaming for the enhanced plans. This makes these new plans a lot more attractive for people who travel a lot in Mexico and/or Canada. 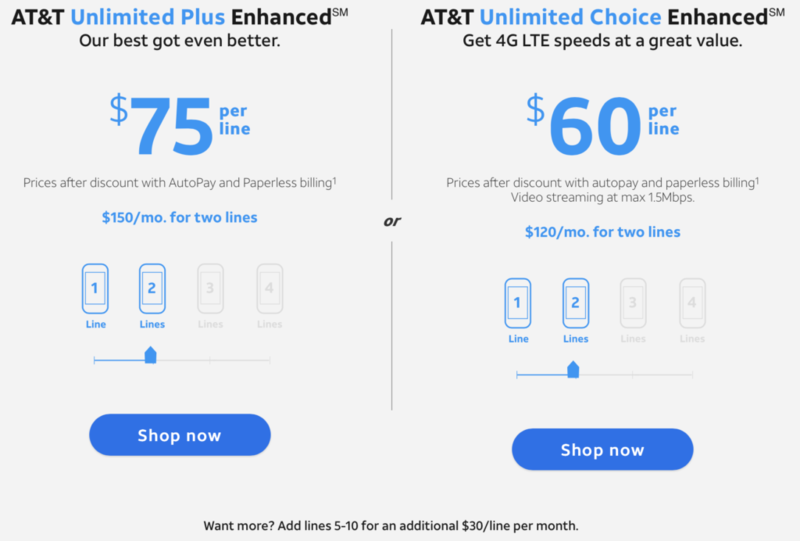 As expected, AT&T updated its website this morning with the new "Unlimited Enhanced" plans - and all the leaked details we reported on earlier this week have indeed come to pass. The major reported downside is indeed real - there are NO MOBILE HOTSPOTS allowed on AT&T's new "Enhanced" plans! Heavy data users who did not manage to get a grandfathered Unlimited Plus line before today are likely now out of luck on AT&T. Fortunately - we've heard from a lot of readers who made a pilgrimage to an AT&T store over the past two days, and they now have unlimited hotspot data. Yay! The AT&T Unlimited Enhanced single-line plans require at least one smartphone line on the plan, and you can add two tablets ($20/mo) or wearables ($10/mo). The Unlimited Enhanced multi-line plans also requires at least one smartphone, and you can have up to 10 total "phones, tablets, cameras, connected cars, or wearables" sharing the plan. In the past you could open up and Unlimited Plus plan without needing a smartphone line - requiring one definitely cuts down on AT&T's flexibility. It seems that "select" cars with integrated OnStar cellular can actually be added as hotspots on the Plus Enhanced plans, and will actually get unlimited hotspot capability (while the key is in the ignition). Standalone Connected Car devices like the Mobley can not be used with the new Enhanced plans however. The fine print points out that "Off-net (roaming) data may be at 2G speed" and that AT&T reserves the right to terminate plans for excessive roaming. We don't remember seeing the 2G speed notice in earlier iterations of AT&T's fine print, and suspect AT&T might be trying to limit how much it pays out in roaming fees to partner networks. There are scattered reports from customers with grandfathered Unlimited Plus plans who are now noticing their video speeds throttled to 1080p resolution, but many other reports of grandfathered customers who are seeing no video throttling at all. We wonder if perhaps AT&T may be experimenting with this before deciding to deploy a throttle even to older plans. Big Bummer - HD Video Throttles!?! AT&T's Stream Saver feature encourages you to stream more video, but defaults to 480p "DVD Quality" resolution unless you manually turn it off. But now - even if you turn it off, only your first few hours of streaming each month may end up in HD. "Streaming video may be limited to SD & after 22GB/line/mo. on AT&T Unlimited Plus Enhanced or anytime on AT&T Unlimited Choice Enhanced..."
We have reached out to AT&T to confirm under what circumstances "may be limited" video throttling will kick in. If ALL video streamed after 22GB/mo will be limited to SD video, this is a MAJOR knock against AT&T's new plans and will prove to be a major disappointment to AT&T customers looking to get their streaming fix over cellular. We will update here once we know more. Last year AT&T published this alert on their internal customer service system, only to retract it a few days later. But we always expected that this was only a temporary change of heart. Back in October 2017 AT&T caused a scare when it began to notify customers that mobile hotspots would soon "no longer be eligible devices" to use with AT&T's Unlimited Plus plans, though AT&T quickly recanted to indicate that those notifications had been sent out "inadvertently". But we've suspected that it would only be a matter of time before AT&T closed the door on its unlimited hotspot plans, which for the past year have been the BEST plans available for heavy data users directly from a major carrier. 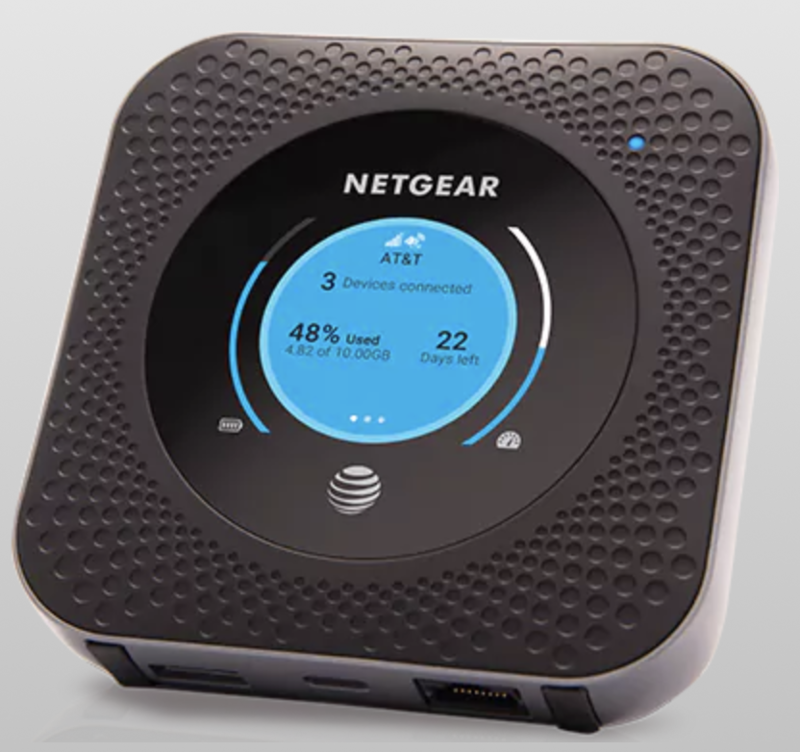 We're now seeing multiple credible rumors and leaks from AT&T insiders saying that the hotspot door is about to SLAM SHUT starting Thursday, March 1st - when AT&T will announce new "Unlimited Enhanced" plans that will indeed drop support for standalone hotspots. Sprint also recently retired their unlimited hotspot plan replacing it with a 50GB option. If this news pans out to be true, that would leave no carrier-direct unlimited hotspot options left on the market. In other words - if you want to get a line locked in under the old plan - we recommend jumping on this immediately! Smartphone lines are being "enhanced" with 15GB of hotspot usage per month, up from the 10GB/mo limit of the prior plan. This makes them comparable to Verizon BeyondUnlimited lines. Only smartphones and tablets and (perhaps?) connected car devices are eligible for being on the new "Enhanced" plans. Internet home devices and mobile hotspots however will now only be eligible for separate tiered data plans, starting at $50 for just 10GB of usage. UPDATE: We've seen leaked screenshots saying that Connected Car devices are NOT eligible for the new "enhanced" plans, though it seems that cars with integrated OnStar cellular can actually be added. Standalone Connected Car devices like the Mobley can not be used with the new Enhanced plans however. AT&T is copying Verizon, and will be throttling video streams to 1080P "HD Resolution" even when the "Stream Saver" feature is turned off. One line of Unlimited Enhanced will be $90/mo, two lines $170/mo, three lines $190, four lines $210, and each additional line will be $30/mo. There will be a $10/mo discount for signing up for auto-pay and paperless billing for a single line, and $20/mo discount if you have multiple lines. This discount makes for a modest price cut for single lines of service, but for most situations the prices seem to be actually going up. Plans will be subject to network management after 22GB of usage in a month, the same as before. As before - this slowdown will only be noticeable on actively congested towers. 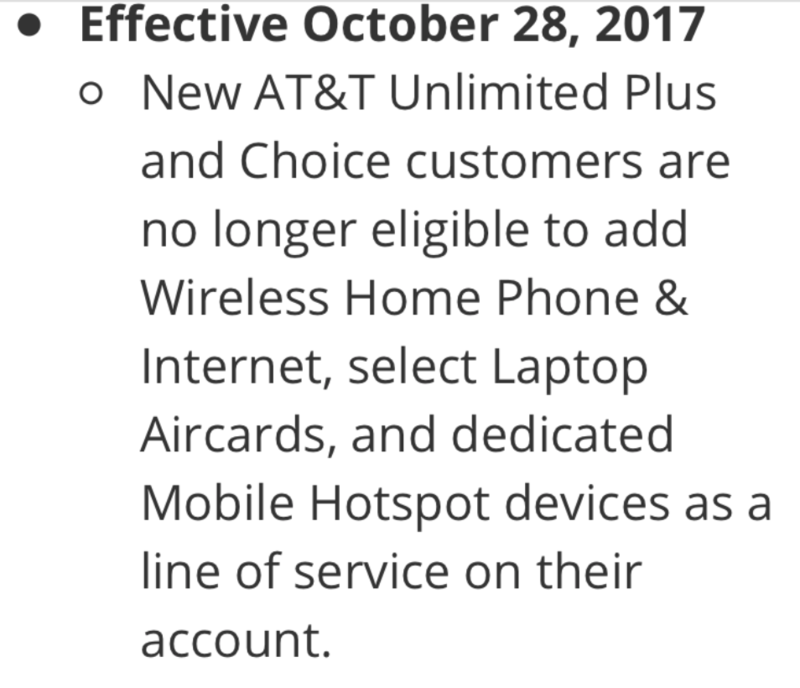 AT&T will be replacing the discounted "Unlimited Choice" plan with "Choice Enhanced" ($75/mo for a single line) that drops the 15GB phone hotspot capability entirely, limits video to SD resolution at all times, and throttles speeds across the board. The old Choice plan was capped at 3 Mbps speeds, the new Enhanced version runs at full speed - but is subject to network management slowdowns at all times. 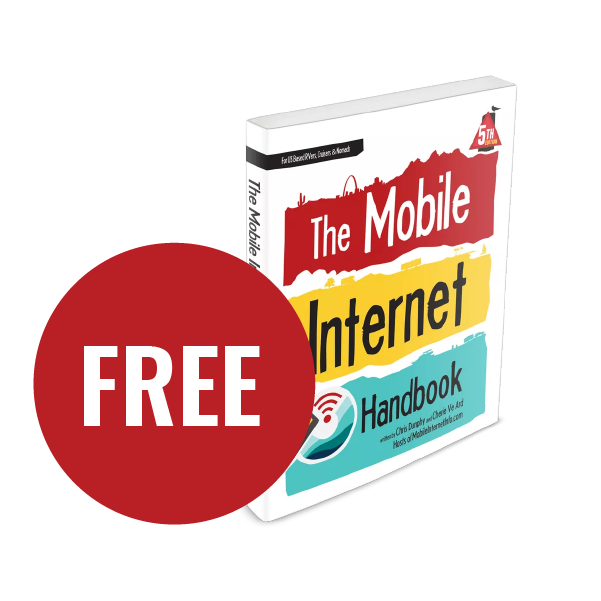 For most people, this tradeoff and lack of hotspot capability will be limiting. We will update this story with further details and clarifications once the plans are officially announced. 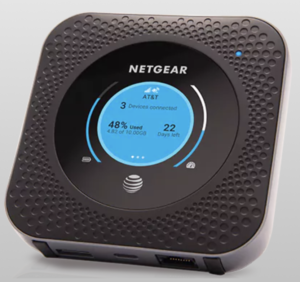 The Netgear Nighthawk is AT&T's latest flagship LTE mobile hotspot. If you want unlimited data on a Nighthawk, you need to act fast. 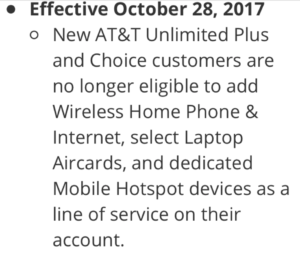 As of now, it seems as if existing AT&T Unlimited Plus plans WILL be grandfathered in, and customers will NOT be forced to switch to Unlimited Enhanced. And current Unlimited Plus customers will actually even be able to add new hotspot lines of service, but only through March 6th. 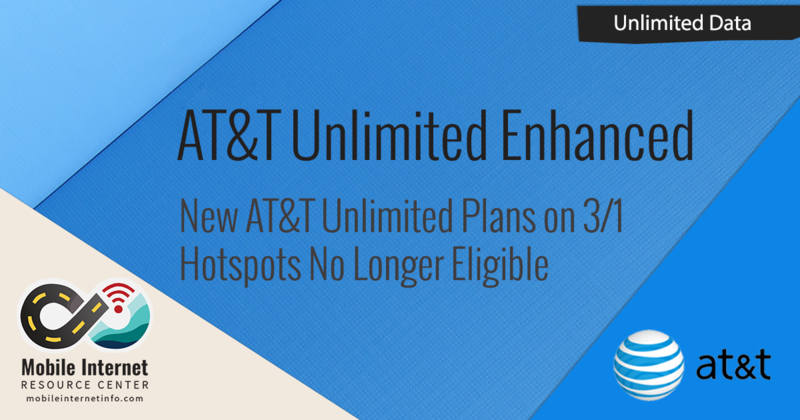 After March 6th NO new hotspots will be able to activated as lines of service on existing AT&T Unlimited Plus plans. UPDATE: We've now seen a leaked screenshot that says that existing Unlimited Plus customers will actually have until May 6th to add hotspots onto their plan before new hotspot lines are blocked. This is great news - but you do need to have an Unlimited Plus plan locked in already! You can have up to 10 lines on on AT&T Unlimited Plus plan - if you have friends or family that are craving unlimited data, now is the time to work out a plan to share. After the first two lines, each additional line is just $20/mo - an incredible deal for what is essentially unlimited hotspot data. This does not impact AT&T Homebase Rural plans or Connected Car plans. It seems only the current Unlimited Plus and Choice plans are being replaced with the new 'Enhanced' plans. AT&T recently retired their older Mobile Share tiered data plans and replaced them with Mobile Flex. If you've been thinking about adding AT&T to your connectivity arsenal - get to an AT&T store or authorized retailer and grab a plan TODAY to get grandfathered in. You want to ask for a mobile hotspot (Netgear Nighthawk or Unite Explore are our two top picks) activated on the Unlimited Plus plan. Standalone (without other lines of service) cost is $90/month with autopay discount. Added to a multi-line account however the cost is just an additional $20/month. Added to a single line, the pricing will be bumped up to multi-line at $145/month for 2 lines of service. Unlimited Plus when activated on a mobile hotspot device is exempt from the 10GB mobile hotspot cap that smartphones & tablets are subject to, and only subject to network management after 22GB of usage in a month. We held a live video chat for our members to discuss the details and implications of AT&T's latest move - the webinar archive is embedded for logged-in members below. We are digging up additional information and insider scoops on these AT&T plan changes, as well as tips for protecting your current lines - so be sure to log in to read the details. Bonus Member Only Content Below! This resource center is primarily funded by our premium members - and for that, we are grateful. To thank our members, we give them some extra tips and insider information that we've learned. to see the bonus content we've added just for you! 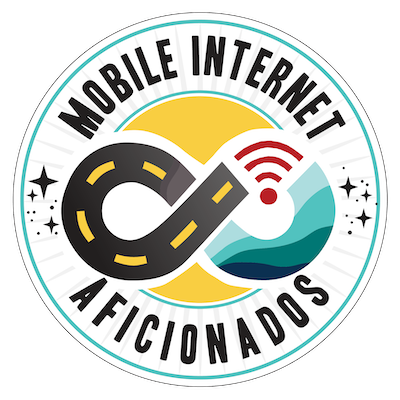 If you're not yet a member consider becoming a Mobile Internet Aficionado (MIA). Extra content like this is one of the many perks we offer.